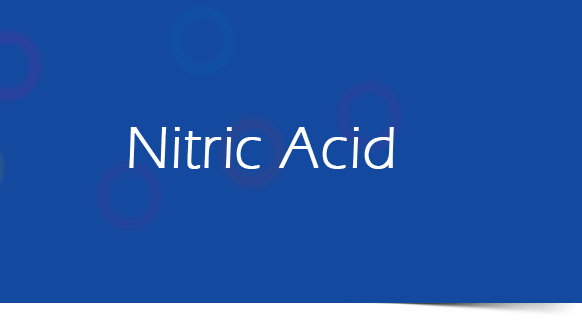 Nitric acid, also known as aqua fortis and spirit of niter, is a highly corrosive strong mineral acid. The pure compound is colorless, but older samples tend to acquire a yellow cast due to the accumulation of oxides of nitrogen. 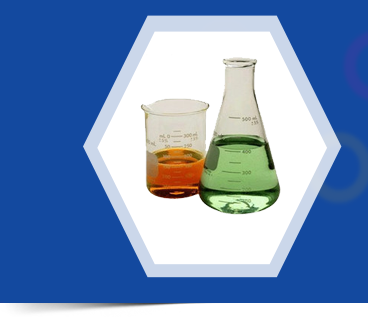 We provide custom formulations of Nitric Acid (HNO3) for varied uses like explosives as well as fertilizers. We also supply it for metallurgy and refining of metals. It is commonly used in food processing and dairy sectors to remove calcium and magnesium deposited during the manufacturing or conversion processes or which may result from continued exposure to hard-water. In woodworking to ‘age’ wood. which means that anhydrous nitric acid should be stored below 0 °C to avoid decomposition. The nitrogen dioxide (NO2) remains dissolved in the nitric acid coloring it yellow, or red at higher temperatures. While the pure acid tends to give off white fumes when exposed to air, acid with dissolved nitrogen dioxide gives off reddish-brown vapours, leading to the common name "red fuming acid" or "fuming nitric acid". Nitric acid is miscible with water in all proportions and distillation gives an azeotrope with a concentration of 68% HNO3 and a boiling temperature of 120.5 °C at 1 atm. Two solid hydrates are known; the monohydrate (HNO3•H2O) and the trihydrate (HNO3•3H2O). Nitrogen oxides (NOx) are soluble in nitric acid and this property influences more or less, all the physical characteristics depending on the concentration of the oxides. These mainly include the vapor pressure above the liquid and the boiling temperature, as well as the color mentioned above. Being a typical acid, nitric acid reacts with alkalis, basic oxides, and carbonates to form salts, such as ammonium nitrate. Due to its oxidizing nature, nitric acid generally does not liberate hydrogen on reaction with metals and the resulting salts are usually in the higher oxidized states. For this reason, heavy corrosion can be expected and should be guarded against by the appropriate use of corrosion resistant metals or alloys. Nitric acid has an acid dissociation constant (pKa) of −1.4: in aqueous solution, it almost completely (93% at 0.1 mol/L) ionizes into the nitrate ion NO3- and a hydrated proton, known as a hydronium ion, H3O+.